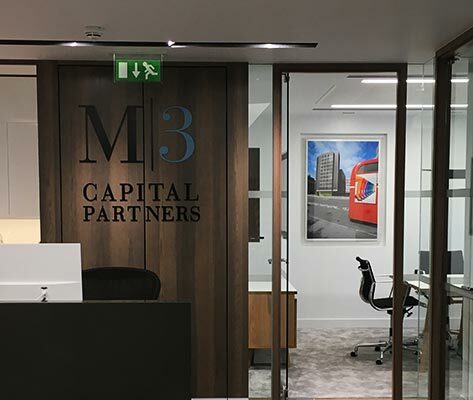 Art Contact was asked to assist M3 Capital Partners with the display of some of the photographs of development sites they have been involved in. 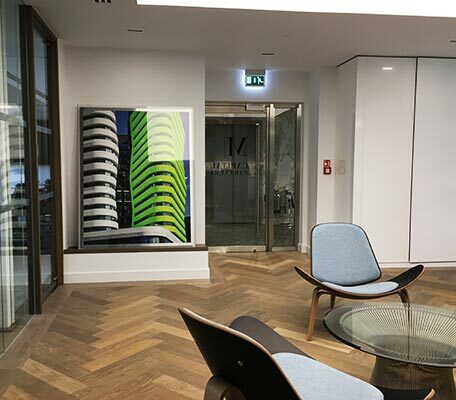 Images were selected and enhanced by adding strategic colour to highlight areas within the image to give a ‘pop-art’ feel to their original photographs. 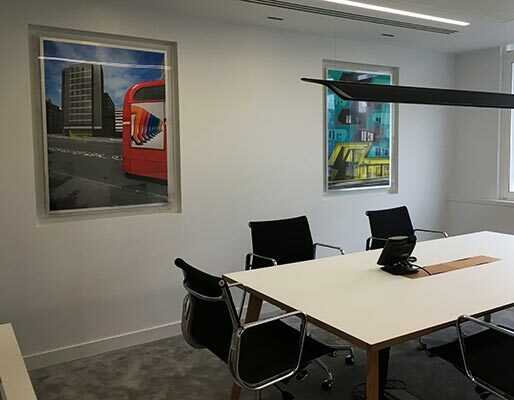 Images were selected for a number of wall recesses. 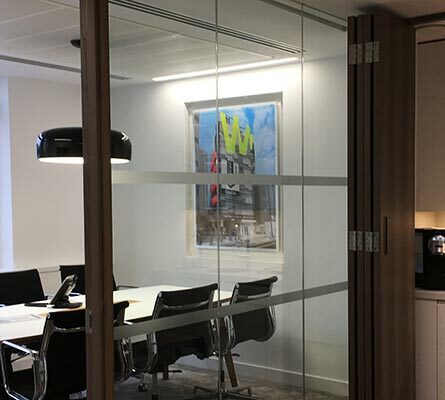 These images were printed onto Di-bond panels and floated inside perspex boxes which were designed to fit into the recesses. 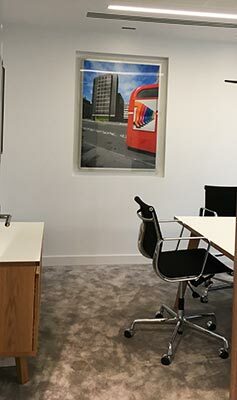 One large image, again printed onto Di-bond and floated in a large perspex box was installed leaning against the wall on a slightly raised shelf in the reception. 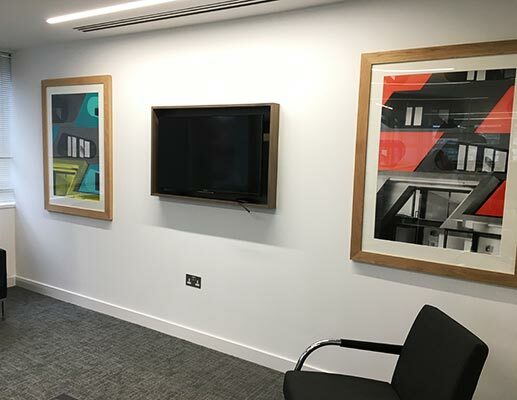 Other items were mounted and framed in specially milled Oak moulding to match the other woods use in the design of these offices. 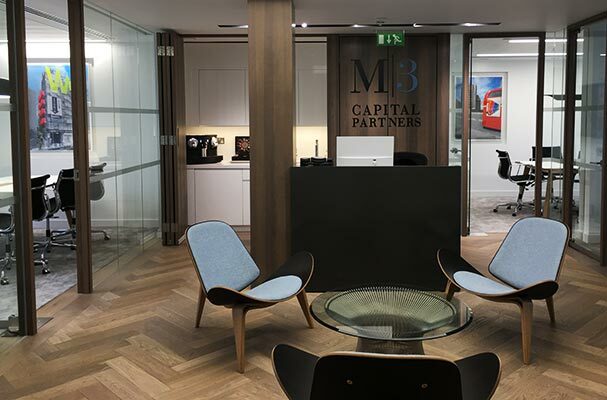 The images were again selected from detail photographs of their development projects. 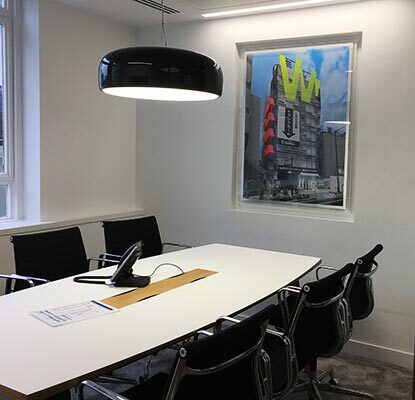 The installed artworks were so well received that we have since supplied similar imagery to their offices in the USA.